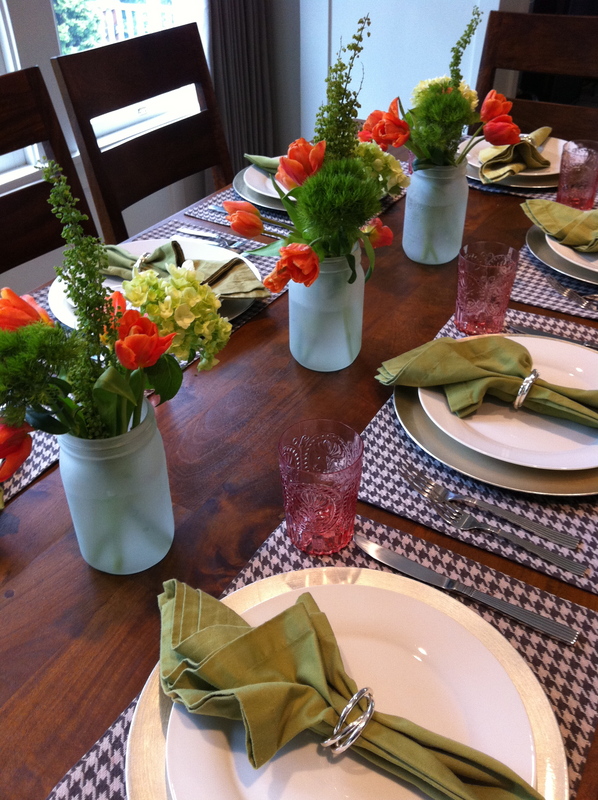 Whatever kind of meal I’m cooking – casual or fancy – I’m a huge believer in setting the table. For me, it’s kind of like making the bed in the morning…I have to do it or it just doesn’t feel right. The presentation of dinner (or any meal for that matter) is just as important as the taste in my opinion and I’ve found that using chargers under my dinner plates adds just the right touch. They’re a low maintenance accessory and can make such a huge difference. *Great gift idea for the perfect entertainer! i love the woven chargers. beautiful! I recognize those woven guys!! Thank you! I got them years ago at Pottery Barn and love them because they’re plastic and SO easy to clean. Not to mention the color is pretty neutral so they transition well from casual to formal. I think I may have gotten confused…the first charger below the table photo IS pewter. I was thinking you were referring to the ones in the photo…sorry. I don’t own them but wish I did.